AJ Tensile manufactures biogas storage vessels for the collection of methane gas produced by anaerobic digestion of food waste. 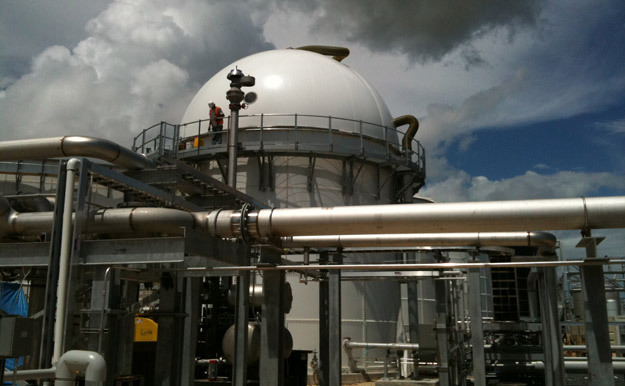 We have manufactured biogas domes which have been installed as far afield as Australia, Canada, China, Poland, UK and USA. These range in size from 20m³ to the majority around 2000-3000m³, and right up to the largest in Europe at a plant in Manchester with a volume of 9000m³.